Despite the overall performance and early returns of Apple Pay, there have been mounting episodes of fraud weighing down the payments utility – meanwhile, Barry Silbert’s BIT has been approved to be publicly traded. Canadian Bitcoin exchange, QuadrigaCX, has become the next Bitcoin company to announce its going public. Starting in April, it will be listed on the Canadian Securities Exchange (CSE), the rough Canadian equivalent of the OTC markets south of the border. The CSE offers simplified reporting requirements and reduced barriers to listing. It is favored by micro cap and emerging companies. It will be listed as Quadriga Fintech Solutions under the ticker symbol XBT, which is also commonly used to abbreviate bitcoin as a currency. 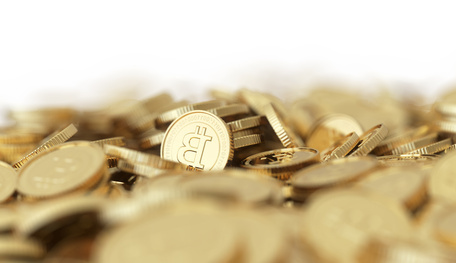 It has been a busy few days for Bitcoin companies announcing their plans to go public. Last week, Bitcoin derivatives platform Tera Exchange entered into a reverse merger with MGT Capital Investments Inc. Earlier this week, Barry Silbert’s Bitcoin Investment Trust got the nod for public listing on the OTC markets. Despite an impressive performance since launch, Apple Pay is now reportedly failing to escape fraud–its raison d’être. In fact, the rate of fraud with Apple Pay may be several times higher for some banks according to Cherian Abraham, a payment expert who works with banks and retailers on mobile payment strategies. It is not an anomaly to see fraud rates as high as 6% with Apple Pay for some banks, as opposed to 0.1% when credit cards are used in their traditional plastic form. The figures varied from bank to bank. Apple Pay employs a number of features in an effort to increase security and reduce fraud. Fingerprint recognition ensures it can only be used by the phone’s owner. Payment data is encrypted and stored on an “element” separately from the rest of the phone. And a one-time code is used for every transaction to ensure merchants can’t view customer data. The Bitcoin industry achieved a major milestone. Barry Silbert’s Bitcoin Investment Trust (BIT) has been approved to be publicly traded on the over-the-counter (OTC) markets. BIT has been temporarily assigned the ticker symbol BTCV on the OTC Markets “pink sheet” site but has been approved to use GBTC as their permanent ticker. Each share in the trust represents one tenth of a bitcoin. Thus, it is the first publicly traded bitcoin investment vehicle, beating the Winklevoss twins’ proposed Bitcoin exchange traded fund (ETF) to the finish line. Their Winklevoss Bitcoin Trust was first registered with the Securities and Exchange Commission (SEC) last year, but has yet to be approved. MGT Capital Investments Inc. has formally entered into a letter of intent (LOI) with Tera Group Inc., the owner of regulated swap execution facility (SEF) TeraExchange LLC. Back in October, TeraExchange, under the authorization of US derivatives watchdog CFTC, completed their inaugural bitcoin transaction. The initial trade was completed between digitalBTC, the world’s first Bitcoin-focused company to commence trading on a major stock exchange, and a hedging counterparty. The nature of the LOI will be the issuing of MGT’s shares of common stock to the current owners of Tera, which represent 70% of the pro-forma equity of the combined companies at closing, pending regulatory approval. How does one get ‘listed’ in the Over-The-Counter markets?